The Nike Zonal AeroShield Men's Running Jacket combines rain and wind protection with breathability where you need it most. New Nike AeroShield technology used in key zones lets body heat flow out and sweat evaporate, without letting the elements in. The hood, chest and upper back feature Nike AeroShield technology, which is crafted from three layers of material. The middle layer is a membrane made from ultra-thin electro-spun nanofibres. 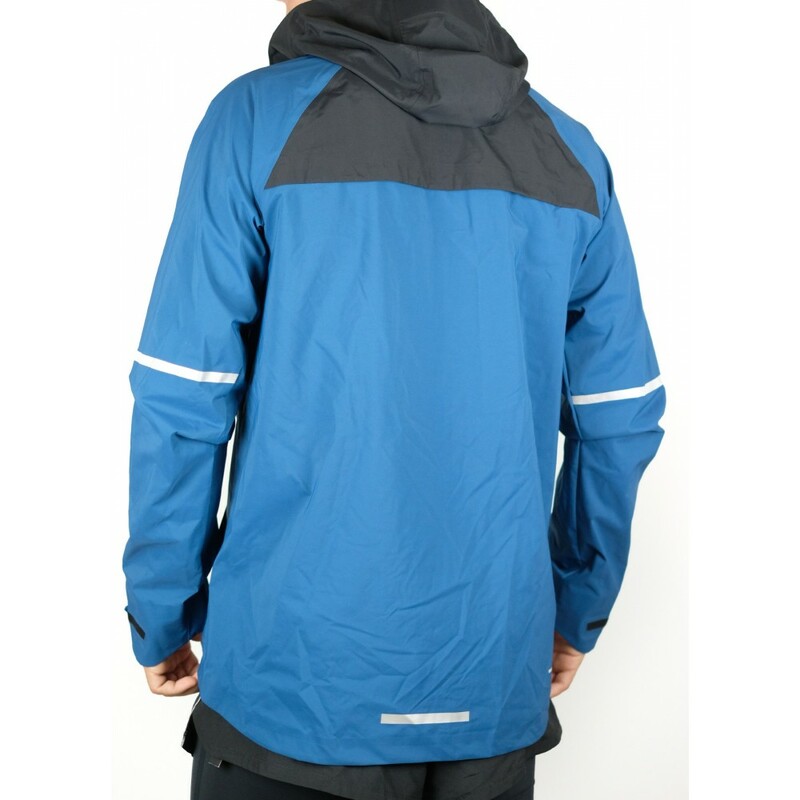 This creates an incredibly light, breathable layer that allows body heat and sweat to escape. The arms and lower half of the jacket are made with Nike HyperShield fabric that blocks rain and wind. Combined with sealed seams and AeroShield technology on the hood, chest and upper back, the construction helps fully protect you from the elements. Zipped side pockets protect your phone, cash and other essentials so you can keep moving through the rain. The pockets are lined with mesh for added airflow. Fabric: Body: 100% nylon. 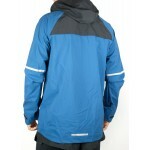 Upper front panel/hood/upper back panel: 100% polyester.